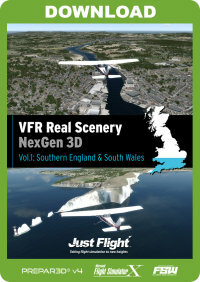 VFR Real Scenery NexGen 3D is the next generation of Just Flight’s hugely popular VFR Real Scenery series. 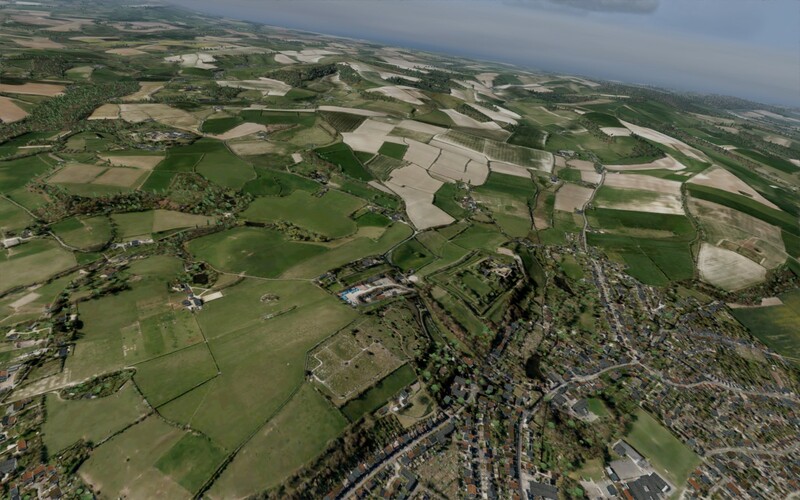 The NexGen 3D software uses the very latest 25cm and 50cm aerial images at 1.2m ‘in sim’ resolution, rising to 60cm around airports. 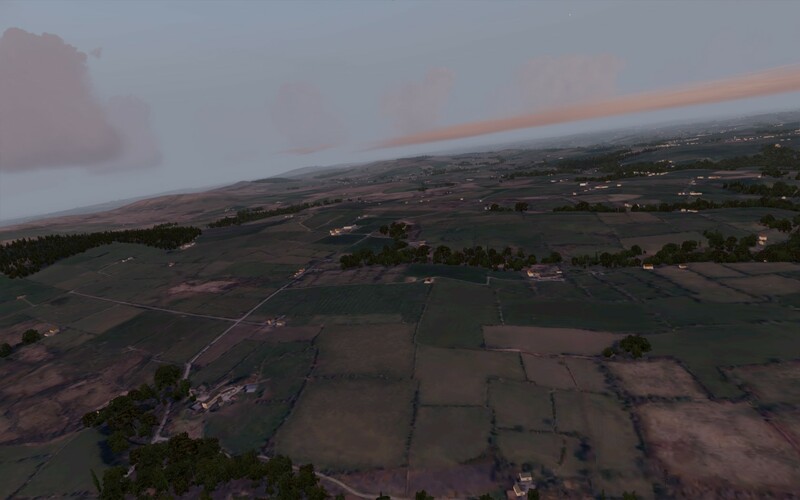 In addition to new imagery, the scenery now uses Just Flight’s new GenMart system to add a huge array of autogen objects for an immersive ‘3D’ feel. 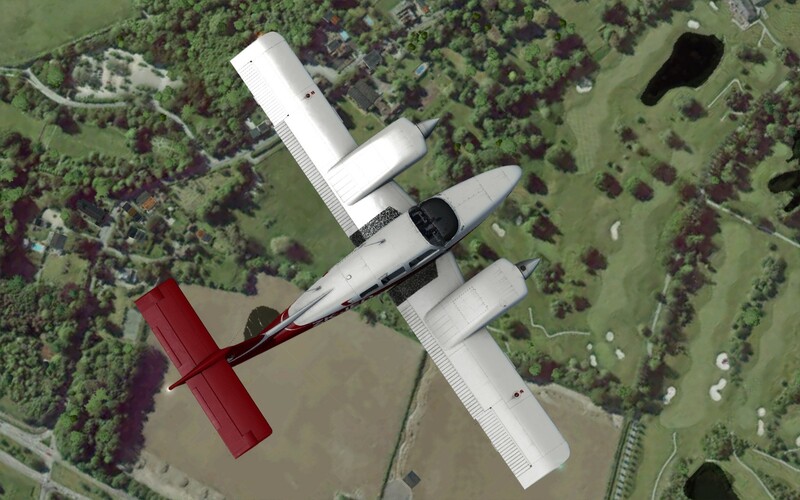 The combination of photographic scenery with accurately placed autogen objects gives a truly realistic representation of flying over the real world. 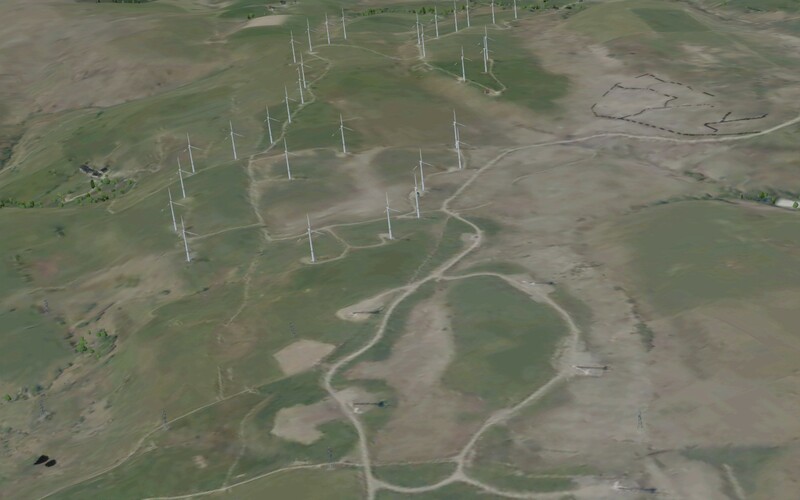 As well as trees, houses and industrial buildings, the object library contains features such as wind turbines, wind farms, lighthouses and churches, all placed where their real-world counterparts are located. 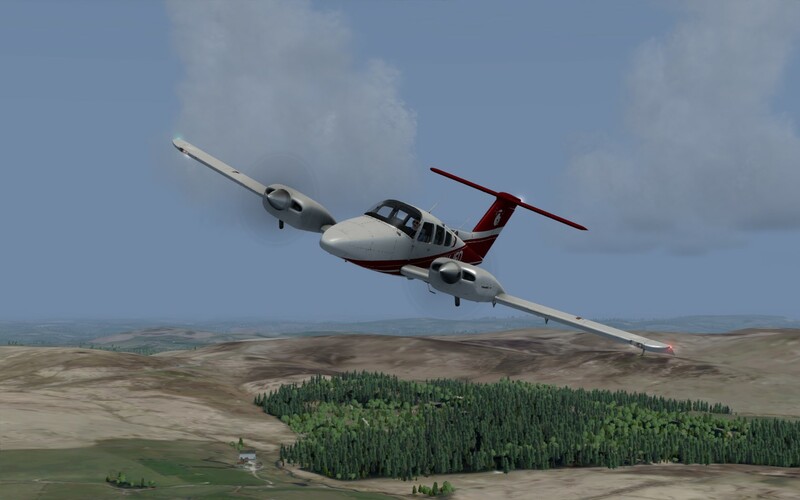 Performance boost - because the display of photo textures and individually placed autogen objects is more efficient than the generic tile-based system used in default scenery, the performance of your simulator(s) will actually improve when NexGen 3D scenery is being used!  1.2m/pixel general texture resolution. 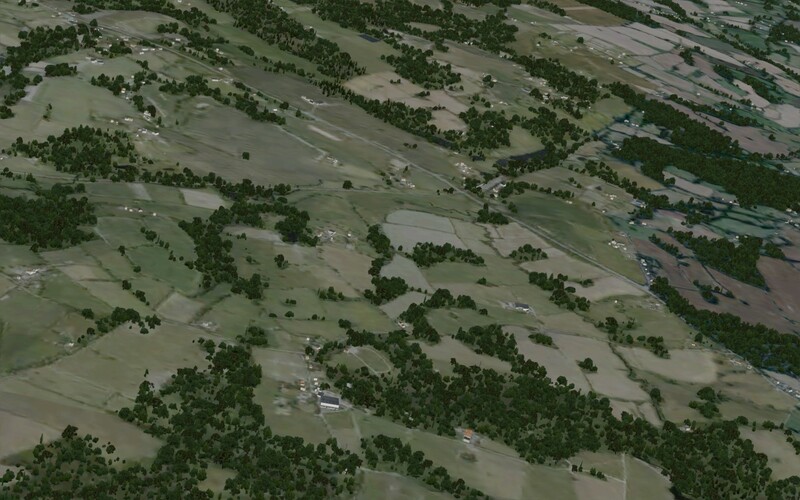 The texture resolution around airports and specific points of interest is 60cm/pixel. Click here to see the manual. 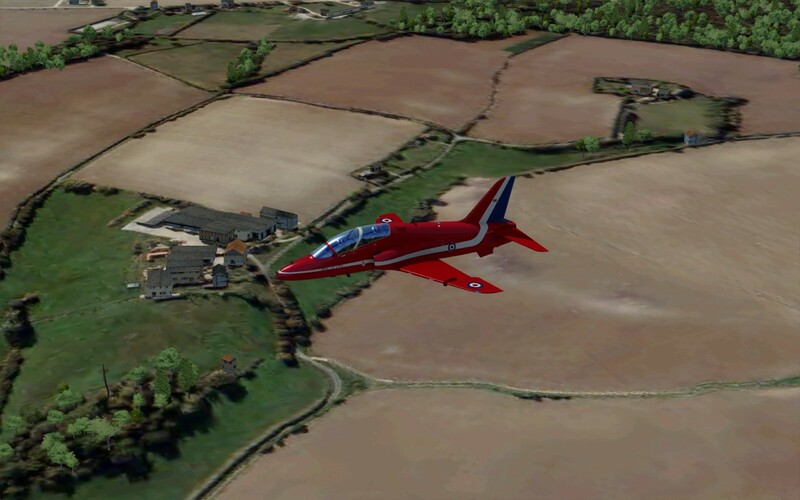 The Real Scenery NexGen 3D sceneries are designed to install a single set of common files which can be accessed by any of the supported simulators installed on your system. 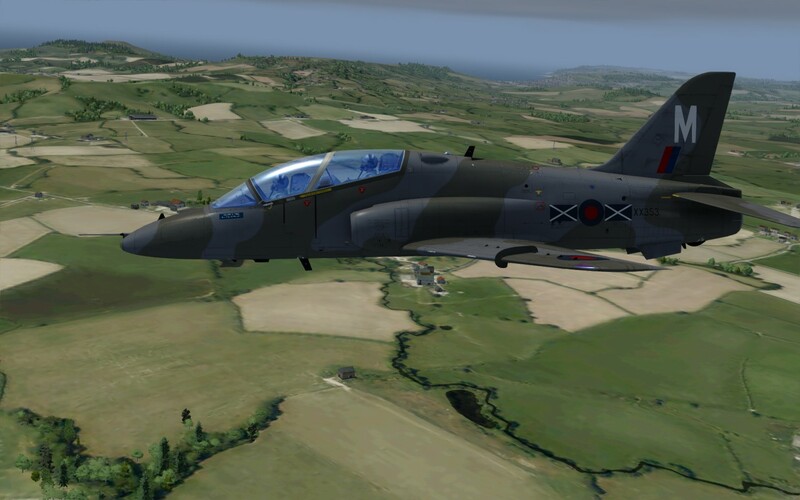 You can have the scenery 'active' in all your supported simulators at the same time without any need for duplicated files. The included Scenery Manager utility will let you switch the scenery on or off in individual simulators whenever you want. 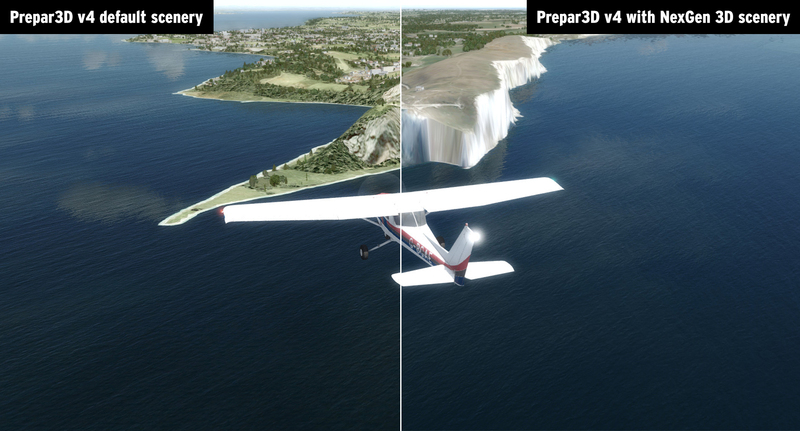 Because the display of photo textures and individually placed autogen objects is more efficient than the generic tile-based system used in default scenery, the performance of your simulator(s) will actually improve when NexGen 3D scenery is being used! If you are currently using lower display settings because of performance issues, you can utilise this improvement by increasing your settings for more detail or just enjoy the increased performance at your normal settings. 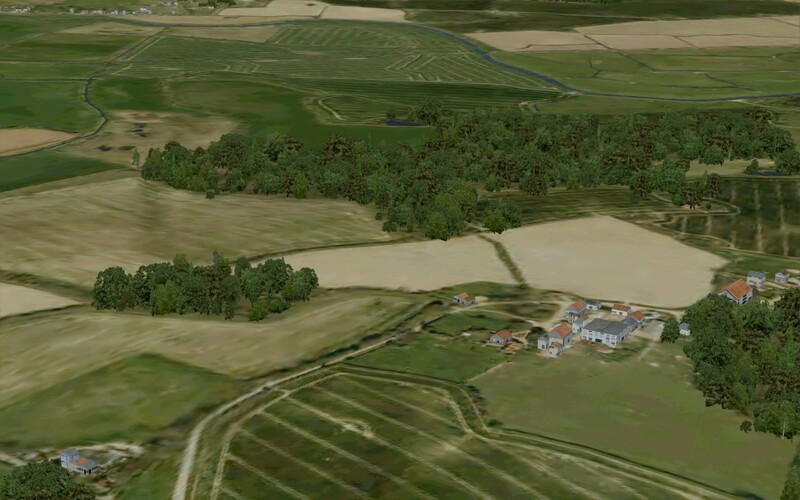 The NexGen 3D sceneries are generated from original 25cm or 50cm aerial photos. These have been taken in the last few years so should be largely up to date. 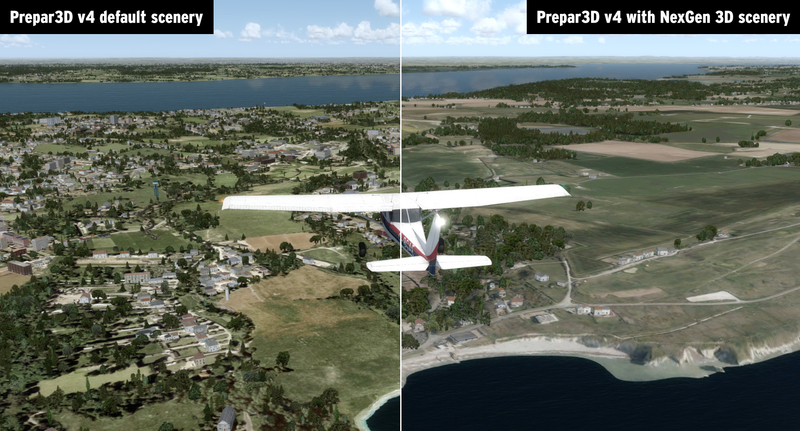 The main scenery coverage is created to give 1.2m resolution, i.e. each pixel in the ground image will represent 1.2m of the actual ground. 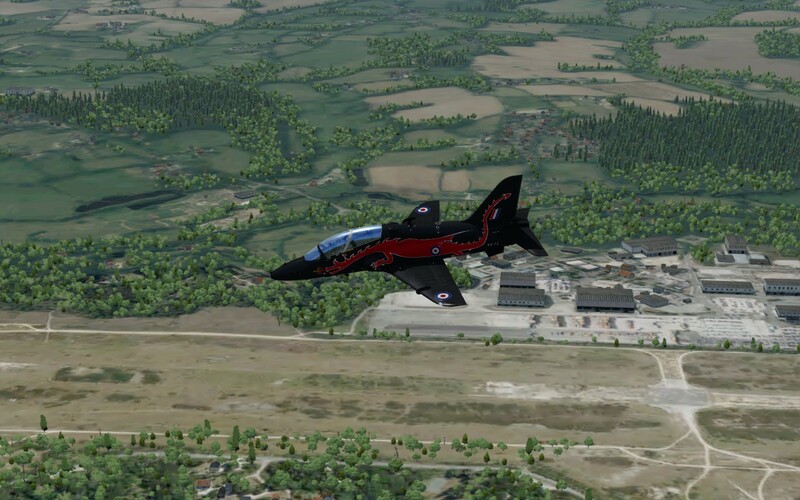 This is high enough to give good detail even when flying fairly low. 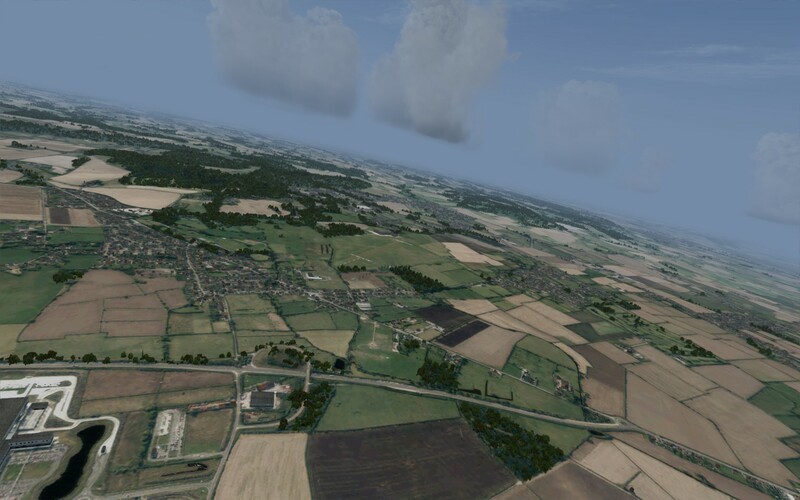 For areas where you are most likely to get very close to the ground (such as around airports) the resolution has been increased to 60cm, which will give four times as much detail when you are very close to the ground on approach. Thanks to Government initiatives in making vast amounts of spatial data freely available, commercial data suppliers and the OpenStreetMap (OSM) project there is now a huge database of mapping information available and it is possible to generate autogen data for large areas. 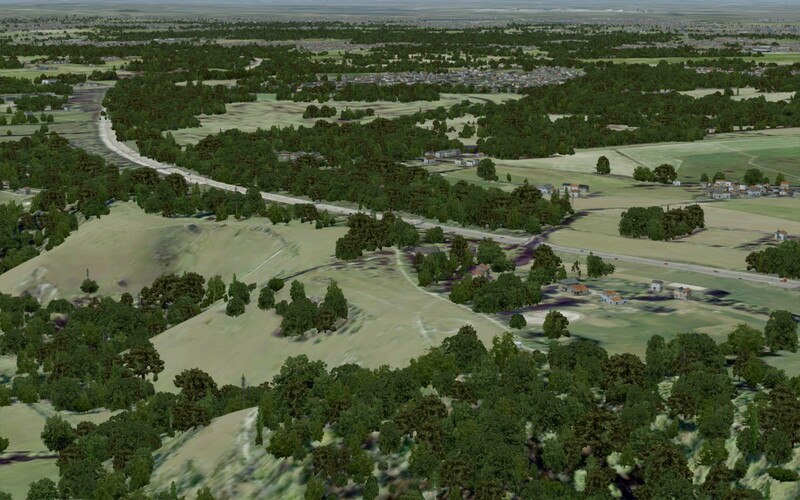 The NexGen 3D scenery come with accurate autogen created from a combination of data sources, which allows the placing of 3D models for virtually every house and larger building in the country, the creation of most wooded areas and many individual trees. Autogen objects are generic. While you will see houses where there are houses, and churches where there are churches, they will be generic representations rather than exact models of the specific real-world buildings. 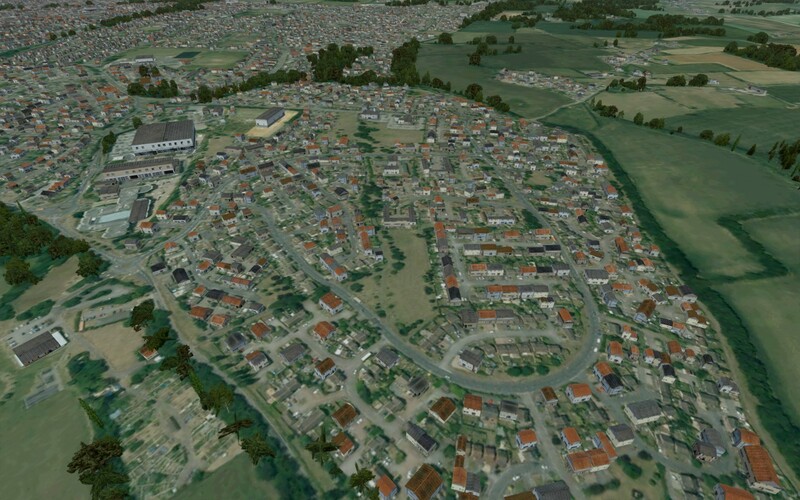 Algorithms have been used to interpret the source data for the most realistic results, based on building size and usage, so you should see the correct mix of residential and industrial buildings in most areas. 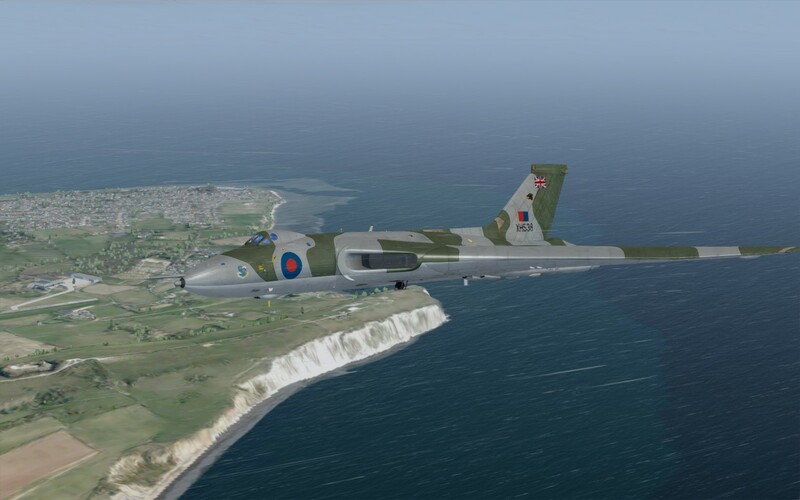 All major and minor water areas in the scenery are included as simulator 'water' with appropriate water masking. 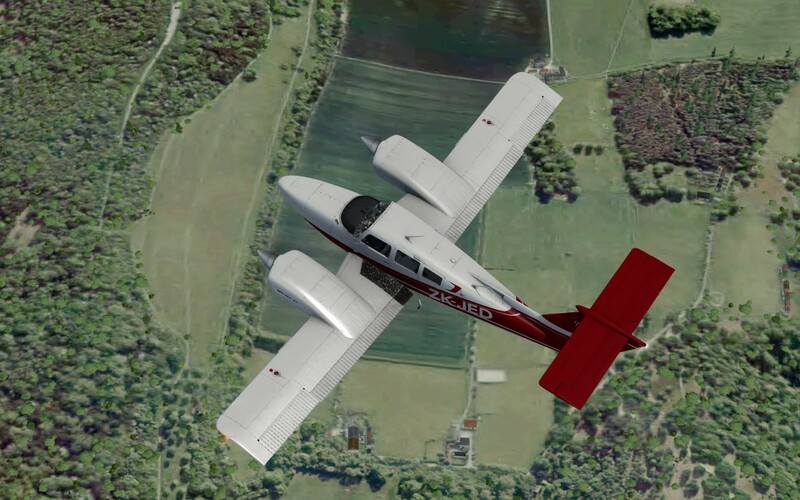 Lakes, rivers, streams, reservoirs and ponds can all be landed on if you are flying a suitable aircraft. The 'ups and downs' in the landscape are created by the elevation mesh lying under the terrain textures. 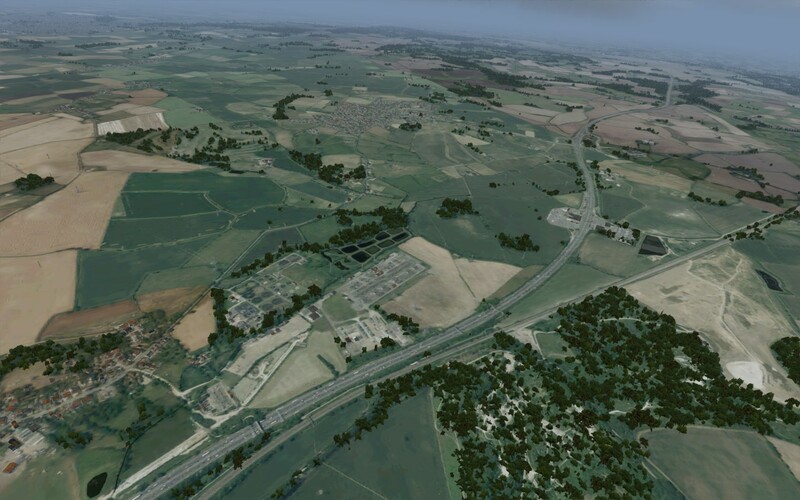 In the default UK scenery the resolution of this mesh is only 76m, meaning that the elevation points are placed 76m apart, with the result being gently rolling landscape with very little detail. Mountains look soft and smaller hills get missed out completely. 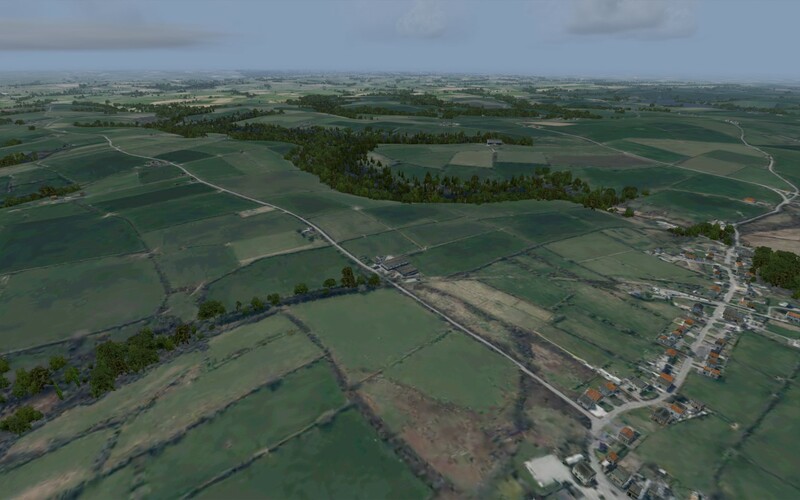 NexGen 3D scenery comes with an ultra-high-resolution elevation mesh of 5m. Virtually every detail can be seen, from the individual crags and crevices of mountains down to the raised embankments along motorways. NexGen 3D scenery includes custom night textures to provide lighting effects at night and smooth dusk/dawn blending between the day and night images. 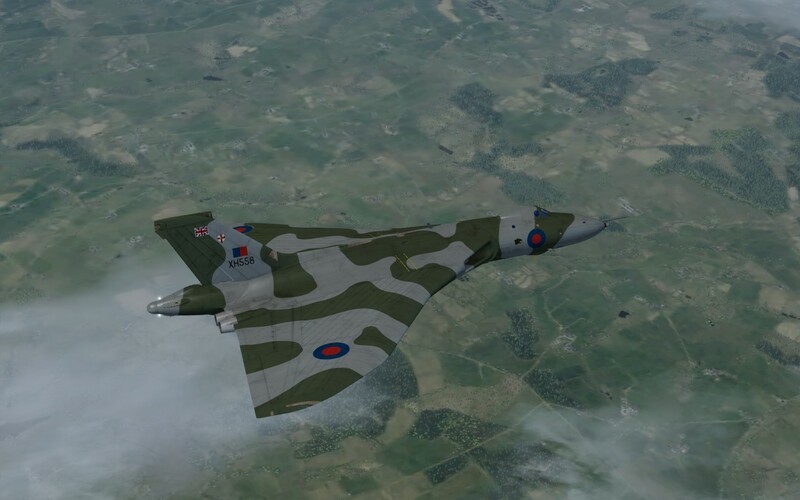 The night textures are separate from the main photo textures and the Scenery Manager will give the option to switch them off if you wish. If you have another night lighting or Night Environment add-on installed, you may wish to have that supply the night lighting instead. Note that not all night lighting add-ons will work over photoscenery so check before any new purchase. 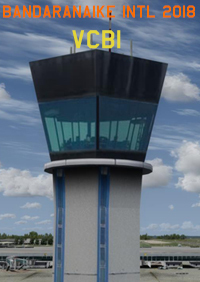 All simulators use a similar database of airport information to place the default airports, runways, taxiways and basic airport buildings. In most cases this is fairly accurate and will fit in reasonably well with the 'real' items showing on the accurate photographic scenery. 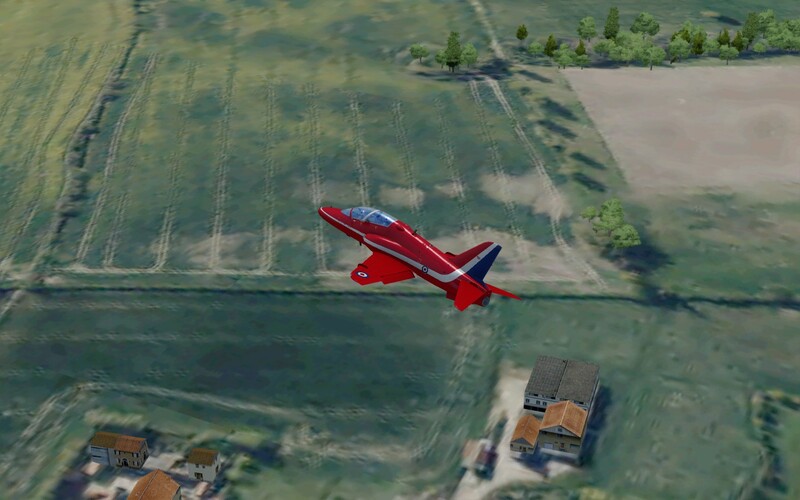 This is not always the case, however, and you may see some misalignment between the overlaid runways or taxiways and the ones showing on the textures. In some extreme cases they have got the placement very wrong. While this was not obvious in the default scenery it does get highlighted when you can see the true ground. There are a small number of airports where the locations are badly wrong. 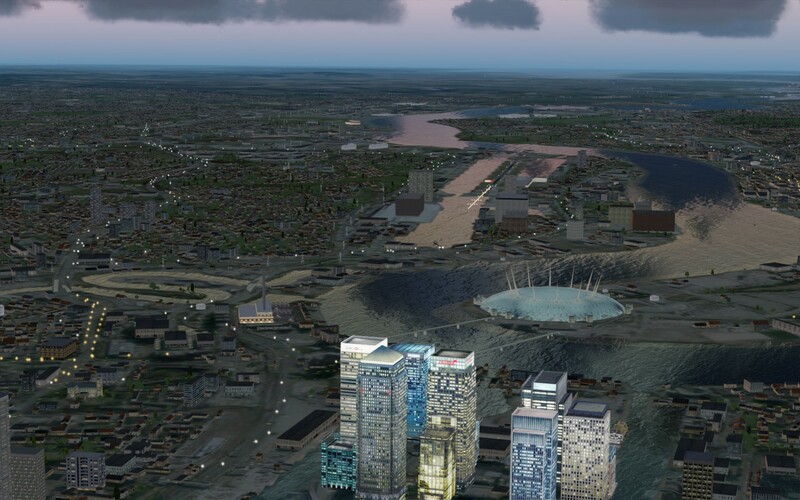 In some cases they may put the airport a mile or more from where it should be. In these situations they will certainly not match the real locations shown in the photoscenery. This is a fault in the simulators and not in the scenery. 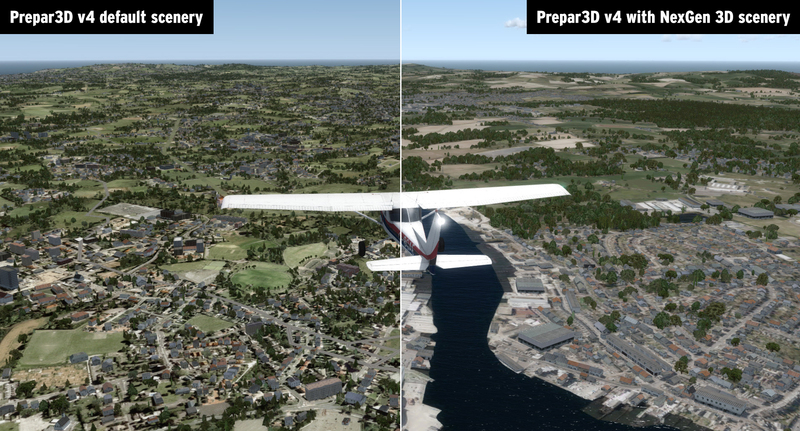 Wherever possible we have relocated the airports or moved the runways to better match with the photoscenery. 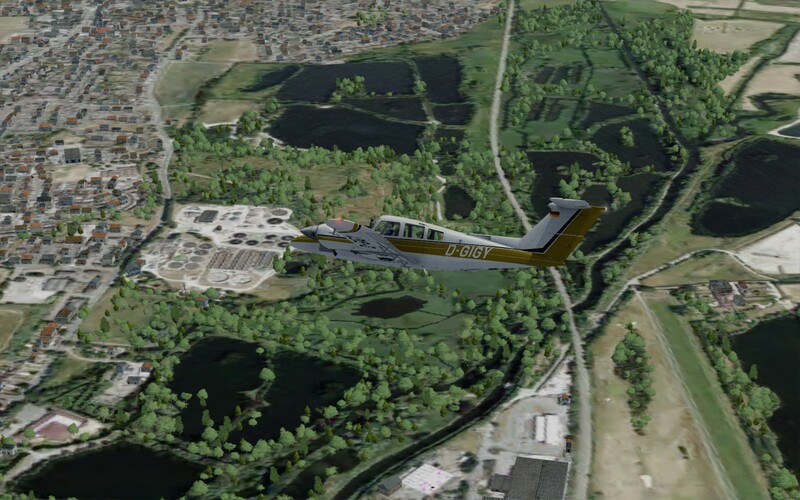 NexGen 3D scenery will work fine with custom airport add-ons. 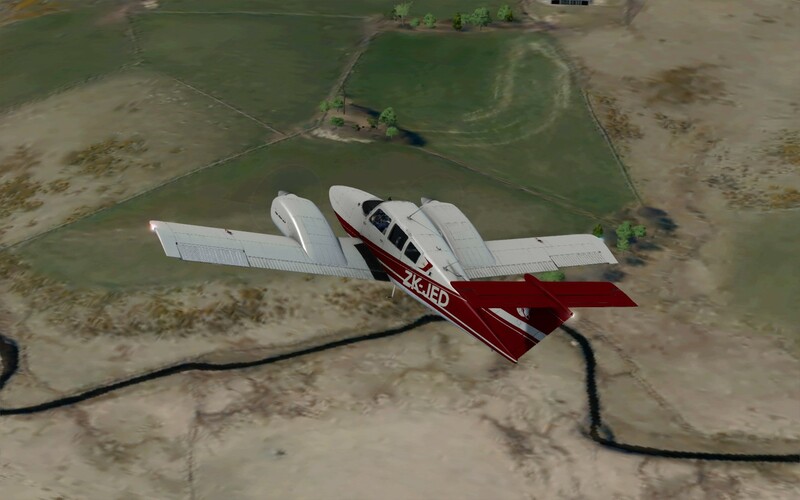 To ensure the custom airport detail appears above the NexGen 3D scenery, simply adjust the position of the custom scenery in your simulator's Scenery Library so it is above the entry for the photo scenery. If you have other photo scenery areas installed which overlap with this scenery, you may need to adjust the scenery library priorities to ensure they appear the way you want in those areas covered by both sceneries. 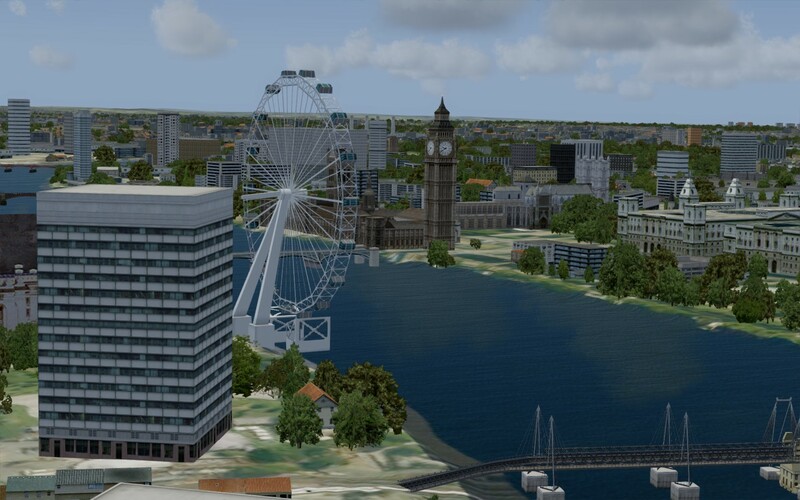 For example, you may have our NexGen photo scenery installed and also a London scenery at an even higher level of detail from another developer. 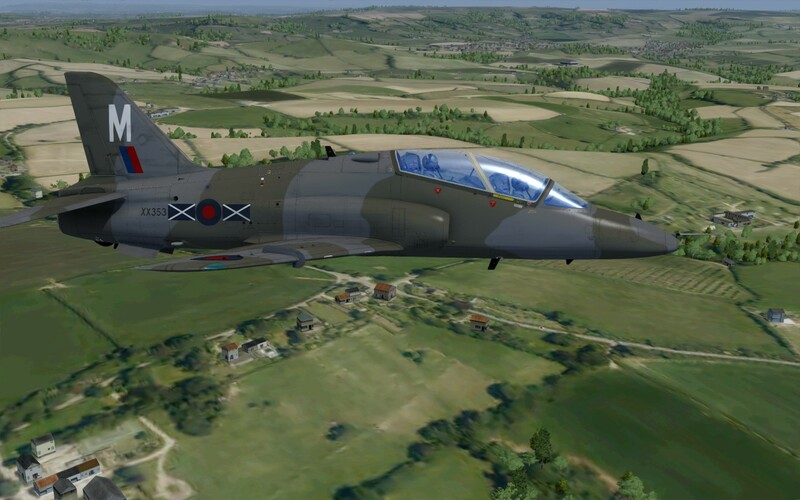 You would ideally want the higher detailed scenery to be displayed when you get over London and this can be done by adjusting the position of the higher-detailed scenery in the simulator Scenery Library so it is above the entry for our scenery. 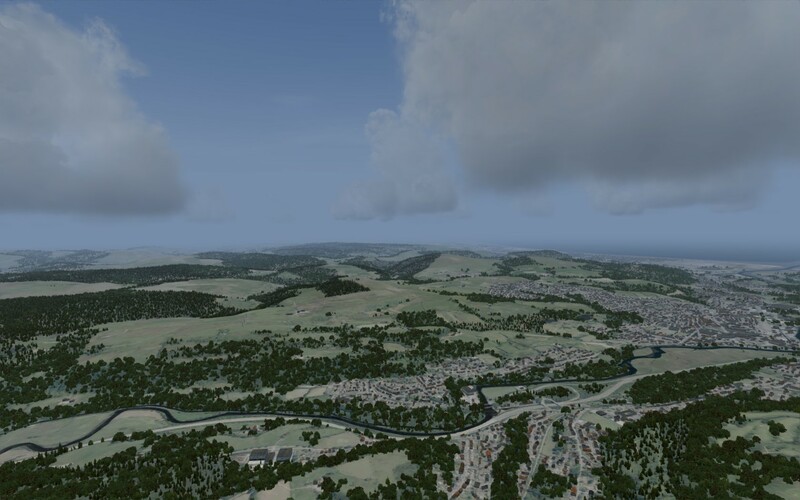 As long as the most highly detailed scenery is accurate and includes its own autogen objects, the transition between the areas should be fairly seamless. Inevitably there may be minor differences in the colouring of the ground images or the layout of the water masking or night lighting, as sceneries from other developers will be using different original source images and development methods. 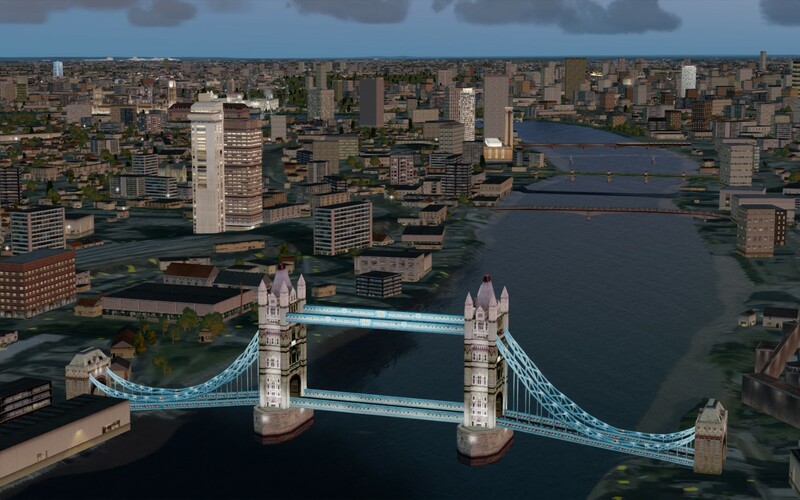 By default, host simulators contain many individually modelled landmarks such as notable buildings, famous bridges and historic features. Unfortunately these are often only roughly placed in the correct location and many are displayed larger or smaller than they should be, or sit at an incorrect angle. This can make them look completely wrong when the default generic terrain is replaced by accurate photo scenery. Where possible we have replaced these instances with suitable relocated and/or resized versions. Where this hasn’t been possible, we may have removed the landmark entirely if it would look really incongruous. 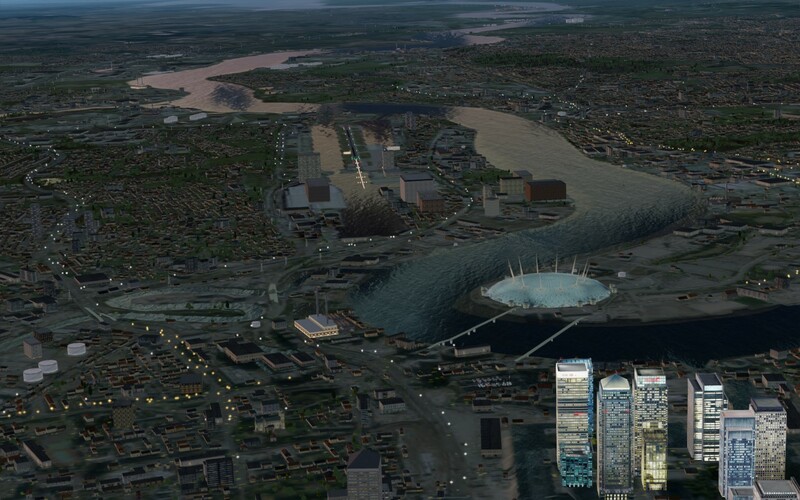 If the scenery contains relocated landmarks you will see an option in the Scenery Manager program to turn this off if you prefer to see the original landmarks in their original sizes and locations. 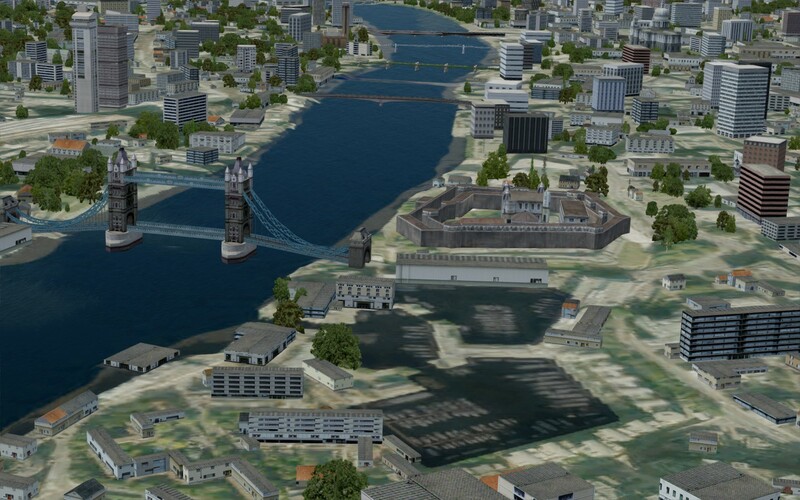 As well as autogen buildings, the mapping data has been used to identify some other notable building types that would be seen (and used for VFR navigation) in the real world: lighthouses, windmills, wind farms and so on. Where they have been located, these have been added to the scenery as extra objects. If the NexGen 3D scenery contains these extra objects, you will see an option in the Scenery Manager to turn them off if you want to. 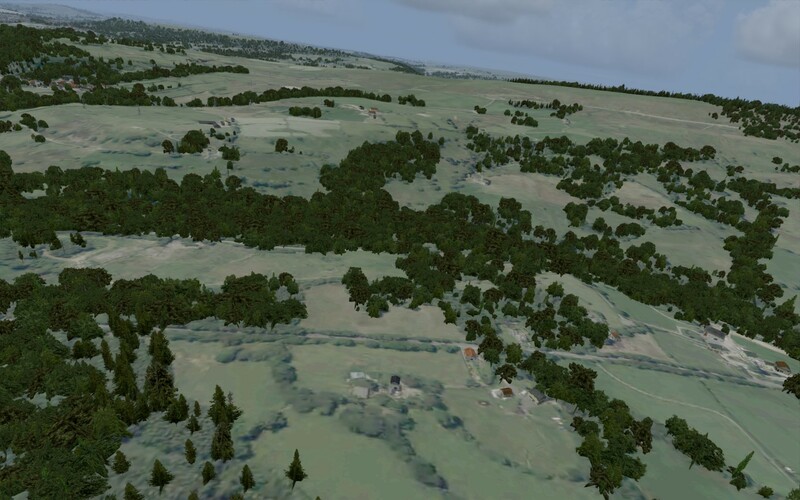 Each volume of NexGen 3D scenery includes a Scenery Manager utility which lets you adjust various options and lets you turn features on or off as required. 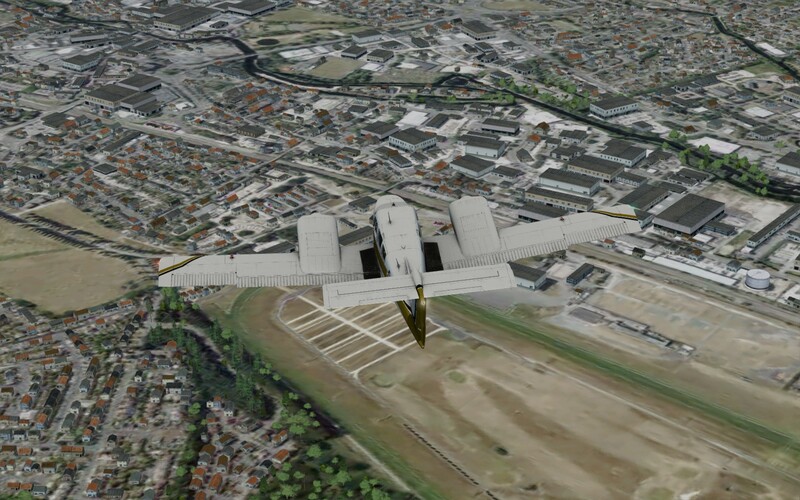 The options may vary between volumes, but will include things like the Autogen, the ultra-high-resolution mesh, extra scenery objects, adjusted landmarks and modified airports. The Scenery Manager is also used to set the scenery active (or not) in all the supported simulators found on your system. Mapping data is constantly being updated and our intention is to update the autogen data on a periodic basis to continually expand the coverage as more data becomes available. 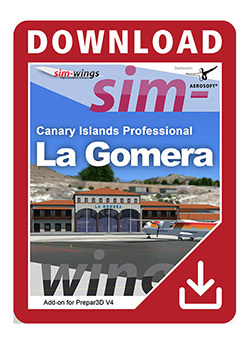 The Scenery Manager checks your current version and goes online at start-up to see if there are any updates and will offer the option to download them if any are available. Updates are not limited only to the Autogen. If there are fixes or updates to the actual photo scenery, or new custom objects have been created, these can be updated in the same way. 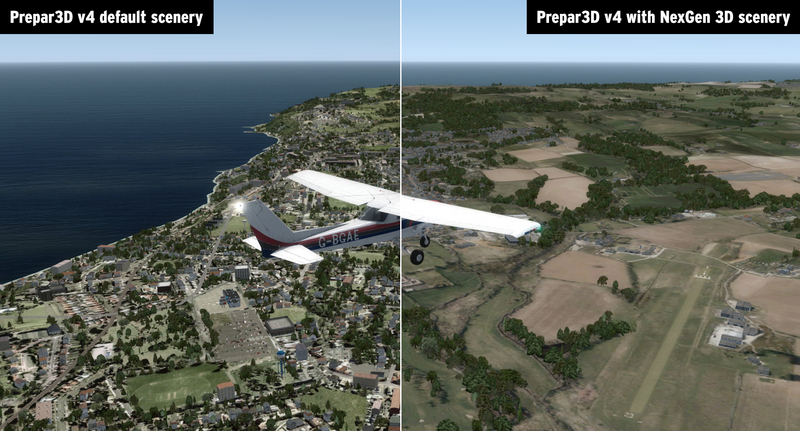 Q: How do I find out how best to set up VFR Real Scenery NexGen 3D in my simulator? A: There is a comprehensive guide in the manual that shows how to set up and get the best out of the scenery and also outlines all the main features. 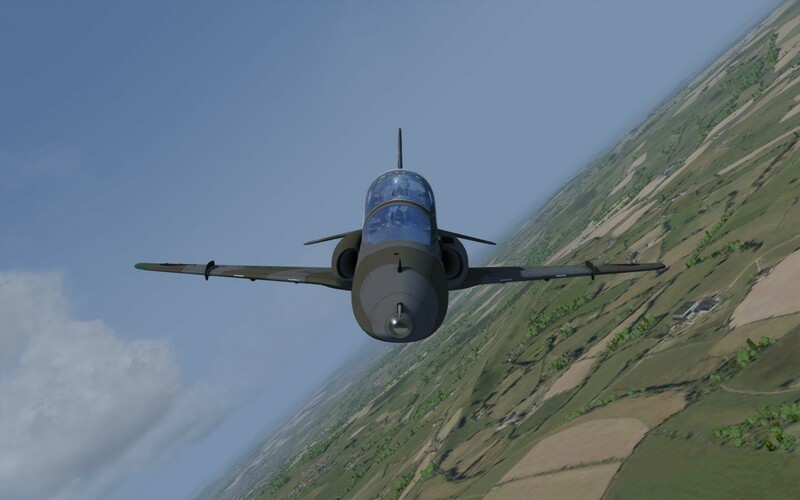 The manual can be found in Program files under ‘Just Flight’, but if you haven’t bought the scenery yet, you can download a copy of the manual here. 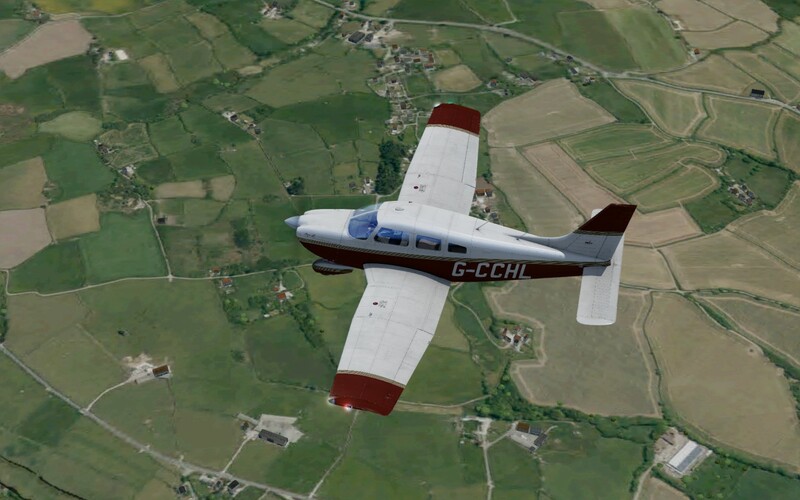 Q: As I fly over some areas, especially at high altitudes, I can sometimes see a change in the colour of the landscape. Why is this? This is a function of how photographic scenery works. 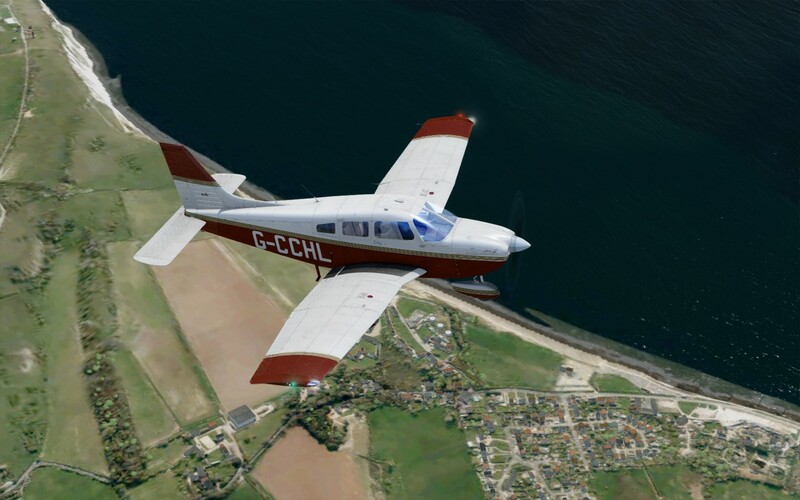 The aerial photographs that make up the scenery are usually taken between March and September because this is the time of year when aircraft can fly most often and the weather conditions allow photographs to be taken. 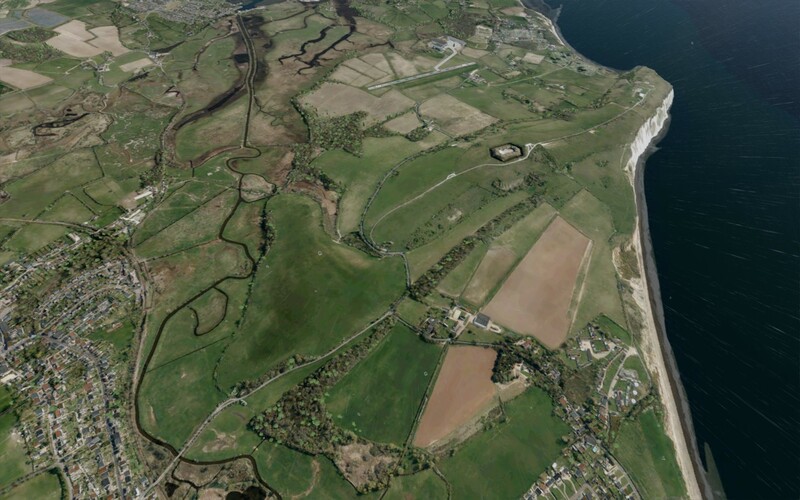 As a result, when large numbers of images are put together to form areas of scenery you can occasionally see seasonal variations between areas photographed at different times of the year. 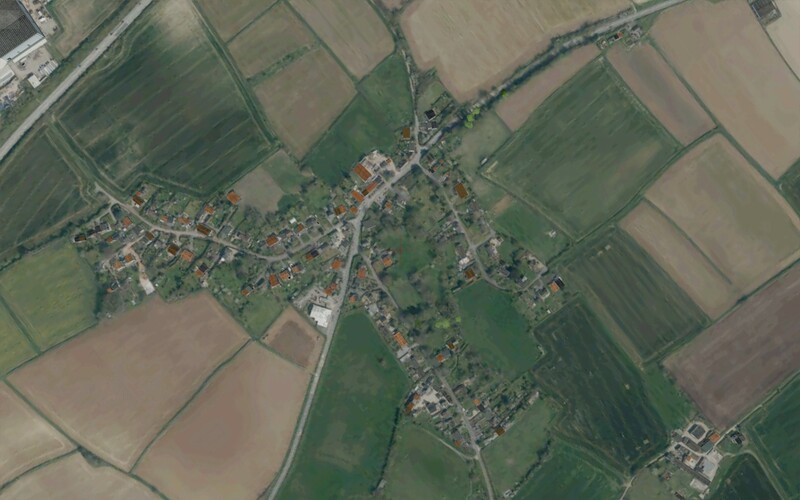 This shows up as a slight change in the general colour of the landscape between one area and another. One way round this is to ‘correct’ all the colours artificially. Unfortunately this can lead to some very unrealistic hues in the landscape – blue/grey fields and purple rocks! 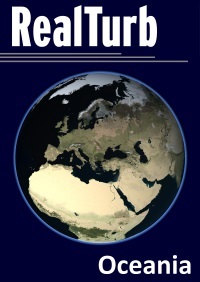 For this reason we have kept the correction levels to an absolute minimum. The trade-off for this is some seasonal variations, but we think that these very occasional changes are preferable to an overall ‘unrealistic’ set of colours. An active internet connection is required for activation. [NB. 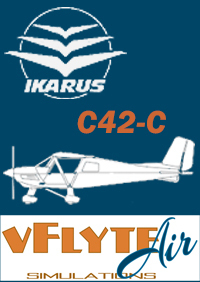 Bought this one at the ORG store]: An absolutely beautiful and immersive little ultralight aircraft. 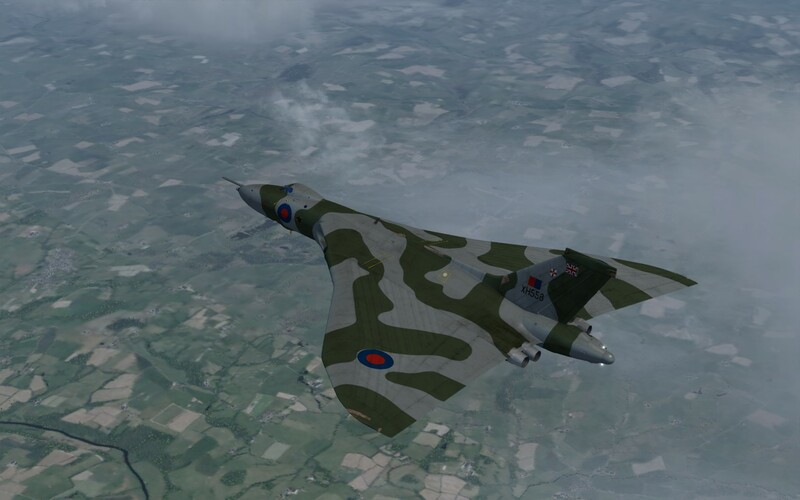 Very realistic hand flying characteristics and tons of lovely little extra features to add to the immersion. Highly recommended. 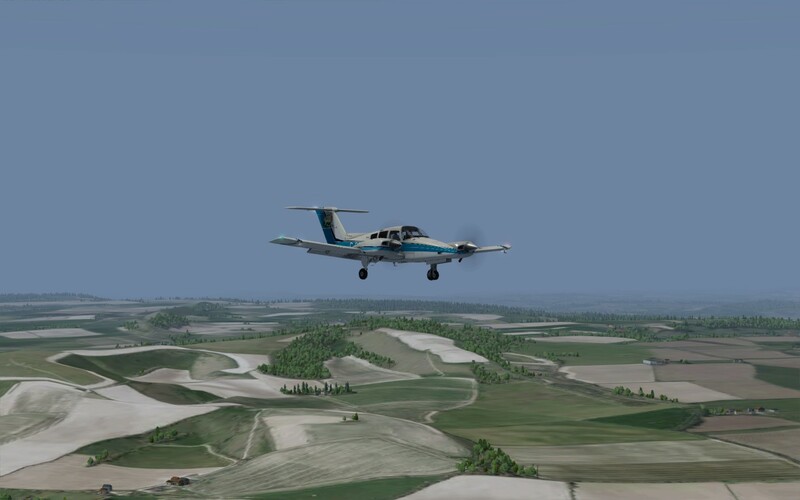 Fantastic for flying over Orbx TrueEarth GB. 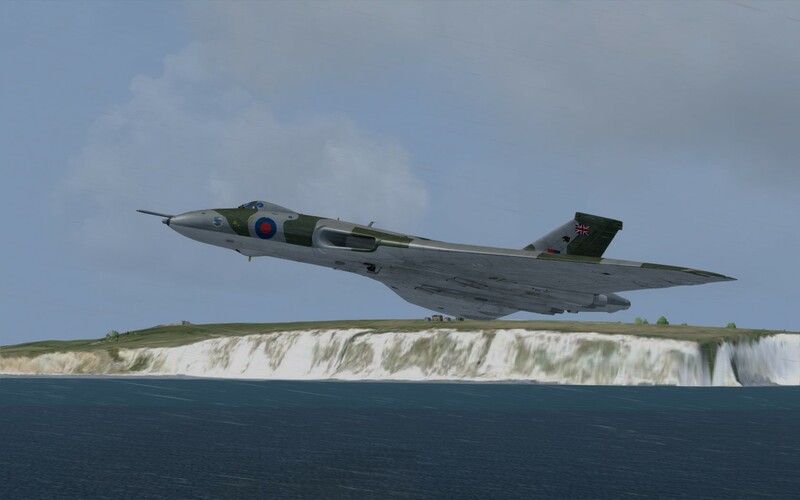 This came up as a destination for me when scrolling through flights on British Airways Virtual so I checked out google for a scenery and this came up. Just installed it and read that one man designed this! I am blown away, just wanted to say great work on this one and I am highly impressed. 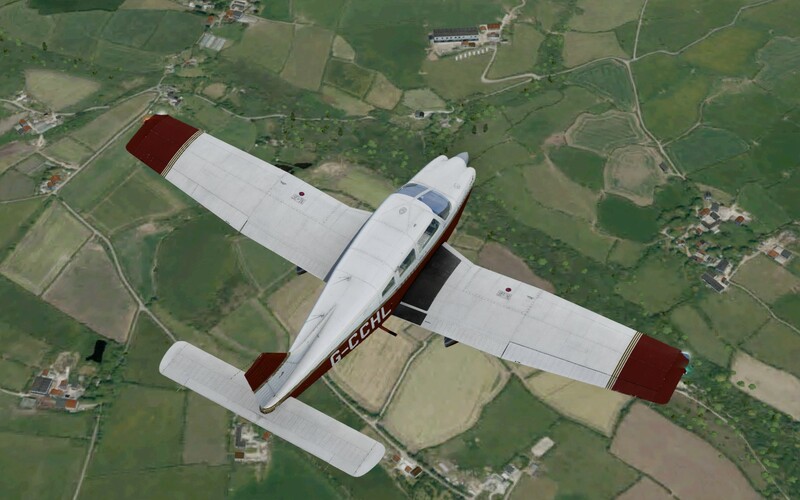 I am running P3D V4.4 and it works great. Excited to fly here from Heathrow in the A321! Glad I came across this scenery. Keep up the amazing work friend! eit, dass sich ein anderer Entwickler nochmals dieses Vorhabens annimmt. Wünschenswert wäre es aber. Wer warten kann, sollte diese Szenerie nur im Sale zum reduzierten Preis kaufen. 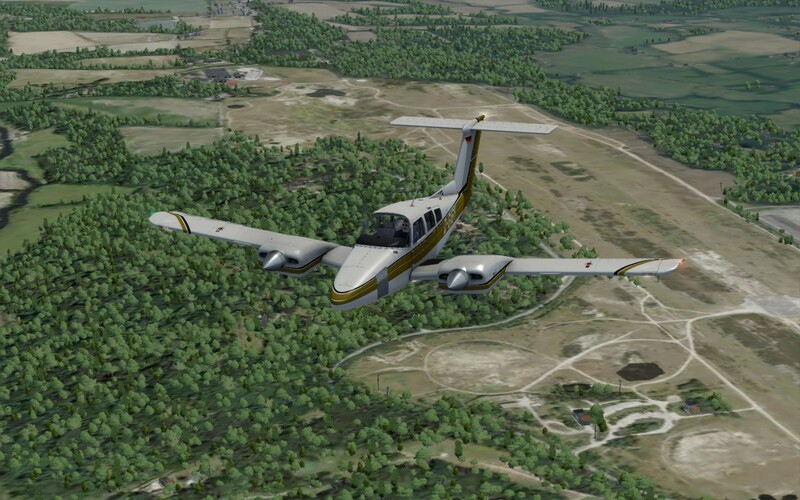 The P3D v3+ update has outstanding dept and detail. I had the vol. 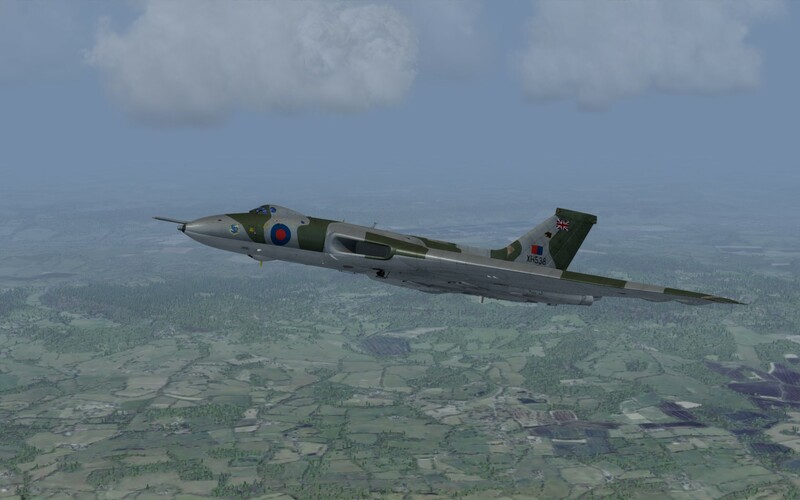 1 and 3 for FSX and I'm pleased with the new updated version. 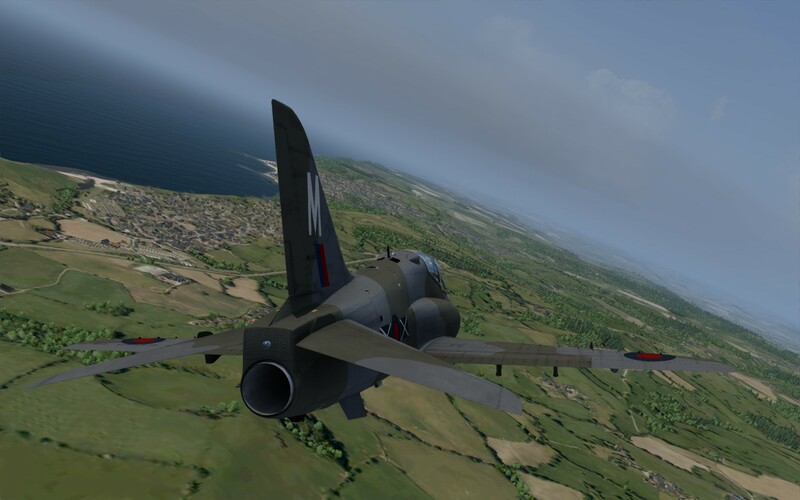 Now that the producers released a revised version including the necessary instructions for installation, I can say the product is excellent in P3Dv4.4. 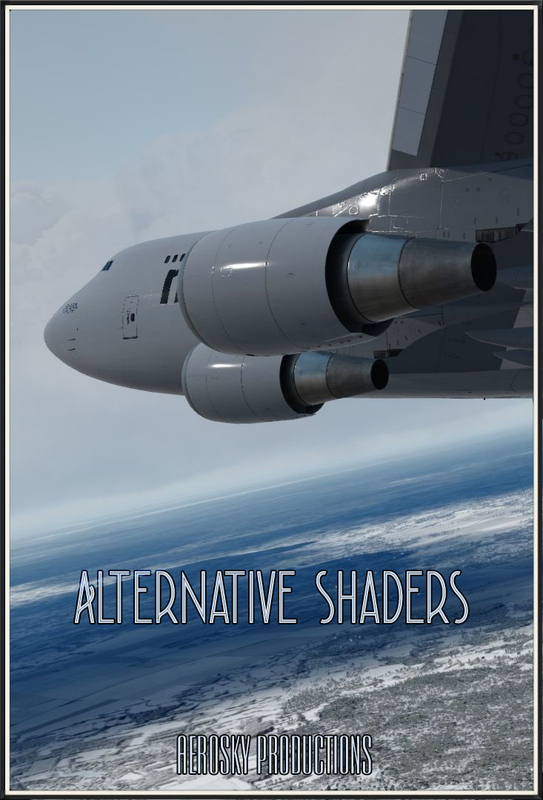 I´m planning to move to P3Dv4.5 soon and plan to use these shaders from day one!. I like what I see on the pictures. Bought it, but no instructions on how to install the shaders are available. Important piece of information that´s missing. Hopefully they include instructions as soon as possible.